We present to you a report showing data from 2016 on the telecommunications market and the telecommunications infrastructure. 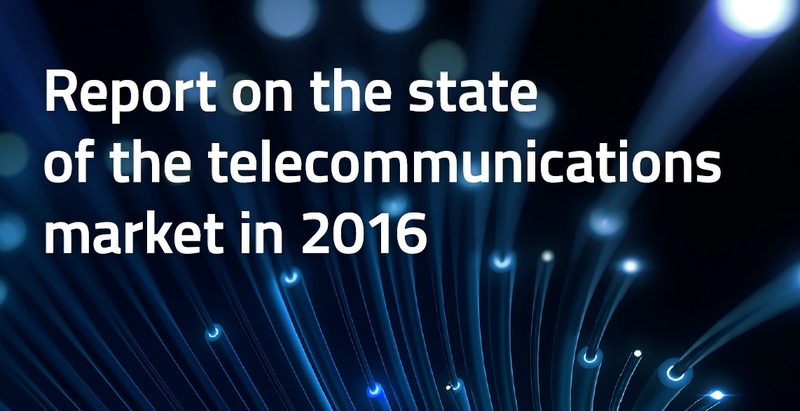 Over the past twelve months, trends in the telecommunications market in Poland have not changed significantly. We should talk about their continuation rather than the fundamental transformations or the reversal of the previous tendencies. The total value of the Polish telecommunications market in 2016 amounted to PLN 39.47 billion and was slightly lower than a year earlier. The penetration of Internet access services in Polandin terms of households amounted to over 106% in 2016. This was about 5 percentage points higher than last year. Decline in revenue is seen with most access technologies. The exception is fibre, where the operators earned in total over 65% more than in 2015. In 2016, 14.5 million people used the Internet in Poland. This represented an increase of approximately 5% compared to 2015. In 2016, 7.86 million people used bundled services, the number of users increased by 34% compared to the previous year. The most popular bundled service is still the “Mobile telephony + mobile Internet” package. Users of this service accounted for 54% of all subscribers, which represented an increase of more than 12.5 percentage points compared to 2015.